Woah, how did we get to the end of November already? Thanksgiving has gone by, the leftovers are all finished up, and it’s time to start thinking about Christmas. 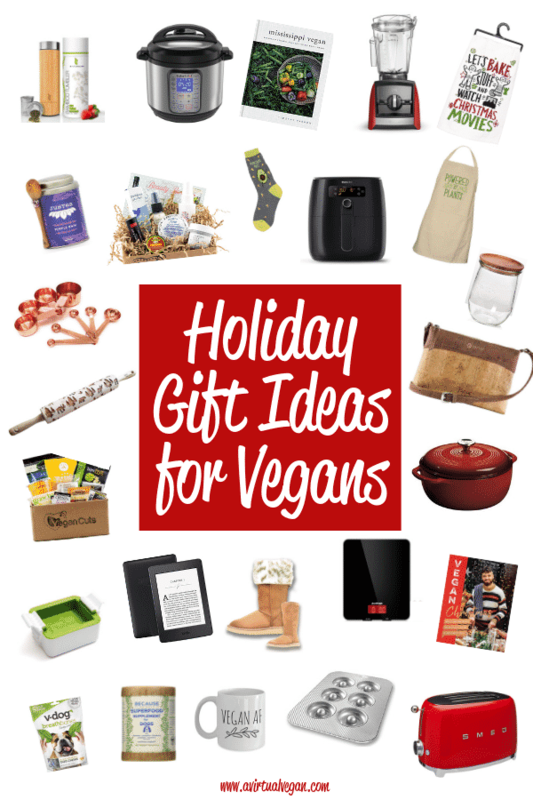 To help make life easier, I have put together this collection of gift ideas for vegans. 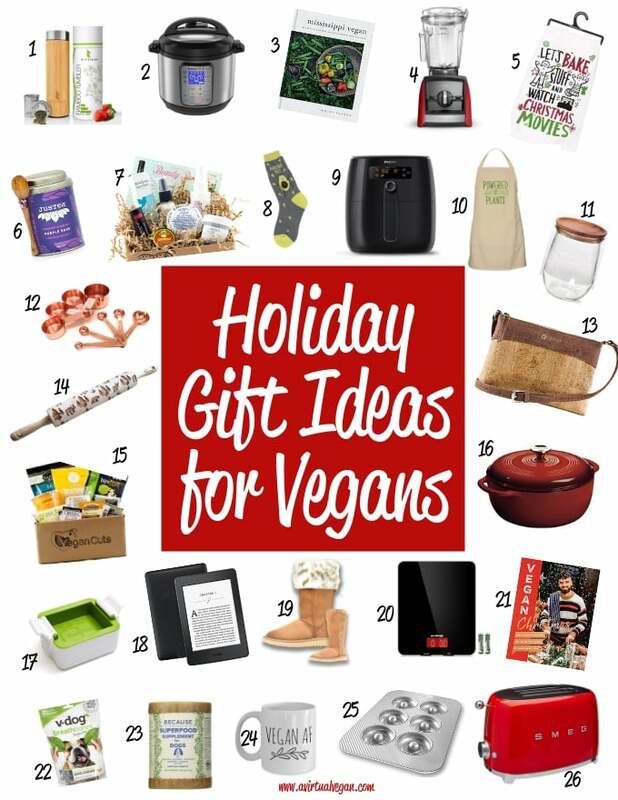 These are all things that I think any vegan would like to receive and hopefully it will help to get your shopping done in minimal time and with minimal stress. Some things I have and love, some things I would really like (helloo family…are you reading this?? ), everything can be ordered from the comfort of your own home and there is something to suit every budget. So put on some Christmas tunes, pour a beverage of choice (wine or hot chocolate maybe? ), have some snacks within easy reach, and get (online) shopping! 1. Enjoy your loose leaf teas, or fruit infused drinks, in this stylish Bamboo Tumbler. It will keep your hot drinks hot and your cold drinks cold while you are on the go. 2. The magic appliance that is the Instant Pot. I wouldn’t be without mine. It’s such a great appliance! 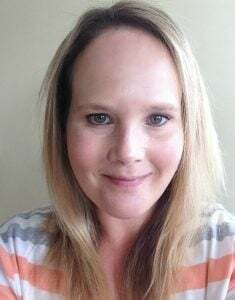 Plus as an added bonus, if you get one, you get to try my Instant Pot recipes! ???? 3. Mississippi Vegan’s cookbook. This book is on my Christmas list and I can’t wait to get my hands on it. Check out his blog of the same name too. It’s one of my faves! 4. Ok, so I have a really old Blendtec and I love it, but I am so curious about whether a Vitamix would be better. Plus this red Vitamix Ascent matches my lovely red Kitchen Aid Stand Mixer! 5. Christmas isn’t Christmas without a festive dish towel on the go at all times. I love this one! 6. JusTea is an award winning social-enterprise based in Vancouver, dedicated to providing sustainable employment to tea-farming families in Kenya. Their tea comes in a gorgeous tin with a hand carved wooden spoon for scooping. Just perfect for gifting. I am tea obsessed and have a tin of this on the go at all times. 7. Who doesn’t love a gift that keeps giving? Treat your special someone to a Beauty Box subscription from Vegan Cuts! 8. Avocado Nut Socks. Enough said. 9. An Airfryer has been on my wishlist for ages and this one from Philips looks great. Anything that makes fried food healthier is magic in my eyes! 10. A Powered By Plants Apron for the vegan that loves to cook. No more splatters on clothes! 11. I like decanting everything into jars, and these pretty little Weck Tulip Jars with wooden lids would be a lovely addition to any kitchen. 12. Change things up and add some beautiful Copper Measuring Cups to the mix this holiday season. 13. Purse obsessed? Me? Do not even ask how many I have. But, I would still love to add this Corkor Crossbody Bag to my collection. 14. I adore this embossed rolling pin! It’s so Canadian with bears, moose and mountains all over it. ???????? 15. A fully vegan snack box delivered every month? Count me in! What a fab gift for the person who has everything. 16. A Dutch Oven. I don’t have one. I have never owned one but I would love one. They are often super expensive but this Lodge Dutch Oven is a great price at less than $60. 17. Save me from the toppling pile of cookbooks balanced on top of my wooden cutting board, every time I make anything with pressed tofu. It is high time I owned a Tofu Press! 18. I am a bookworm and have an ancient, first model kindle. I would love one of these new Kindle Paperwhites! 19. Snuggly, warm, comfy and very well made Boots from Pawj. They are totally and utterly 100% vegan ????. 20. A Digital Kitchen Scale. Yes, I preach in every single baking recipe that you should have one. 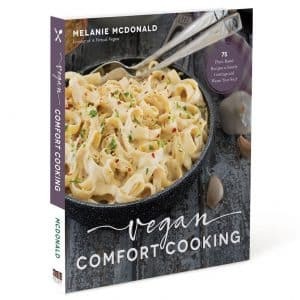 They really do make a difference to the outcome of your recipes and would make a great stocking stuffer for the baking vegan in your life. 21. Vegan Christmas Cookbook by the lovely Gaz Oakley. A fellow Brit and one who you should look up on Youtube. His recipes are awesome and he’s doing great things in the vegan world. 22. Something for the furry one in your life. V-Dog Breath Bones are sure to be a hit with your pooch. 23. And something else for the dog in your life. Chester does really well on this superfood supplement. 24. A mug for the person in your life who is Vegan AF! 25. Everyone needs donuts in their life and this is my favourite donut pan. They never-ever stick! 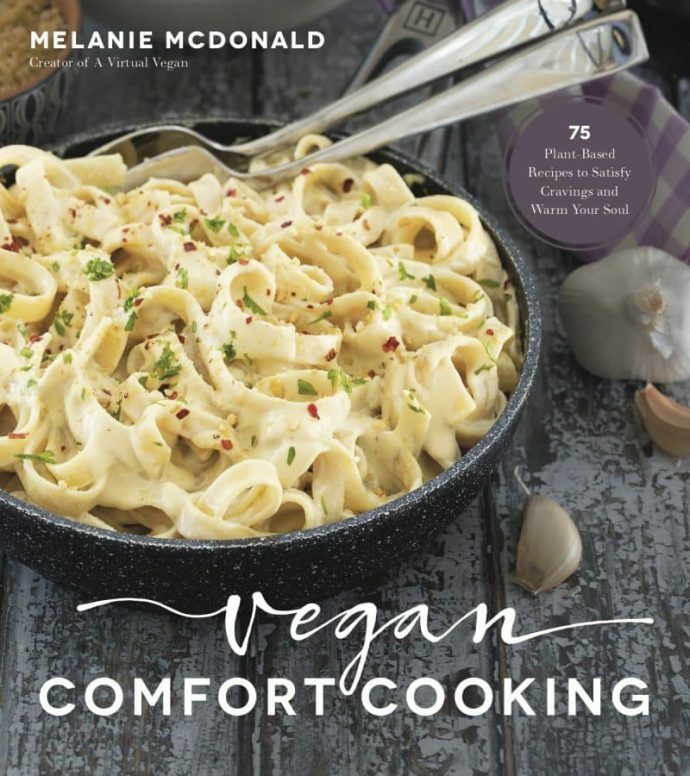 And lastly, I haven’t officially included it because it’s won’t be published until May 2019, but you could pre-order my cookbook, Vegan Comfort Cooking, for that special someone. I’m sure they would appreciate it being mailed right out to them as soon as it is available! Check out last years gift guide here for even more ideas. I hope you have found this post helpful. Happy Christmas shopping from the comfort of your sofa and I hope that your holiday season is fun, happy and filled with love and lots of good food! Make the whole thing even easier bu downloading my Vegan Christmas Dinner Menu, Shopping List and Timeline. I have planned the entire meal for you down to the tiniest detail! That means you can do your Christmas shopping and cooking with the least stress possible!